If you are wanting to begin worm farming and not sure how – this book has something for you! There is practical information on building your own simple worm farm, what to use for bedding and what to feed. There is so much useful information crammed into this book, and while there are some microbiological and biochemistry terms used they are written in such an easy to read way that you don't need a degree to understand the information. For those who like to learn through watching there are links that take you to YouTube clips so you can watch for example the worm farm being made, and the tea being brewed. 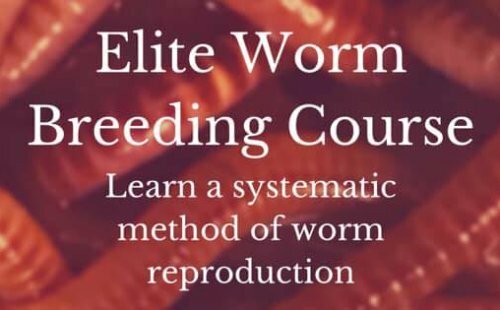 As an e-book there are handy pages you can print out such as the worm feeding guide which lists things to avoid putting in your worm farm, and if you are using your worms as pet food there is a recipe for fattening your worms. For the young at heart there is even a link to some worm related colouring-in pages. Worm Farming Revolution is definitely a book we would recommend for the bookshelf (virtual or real) of any worm farmer.